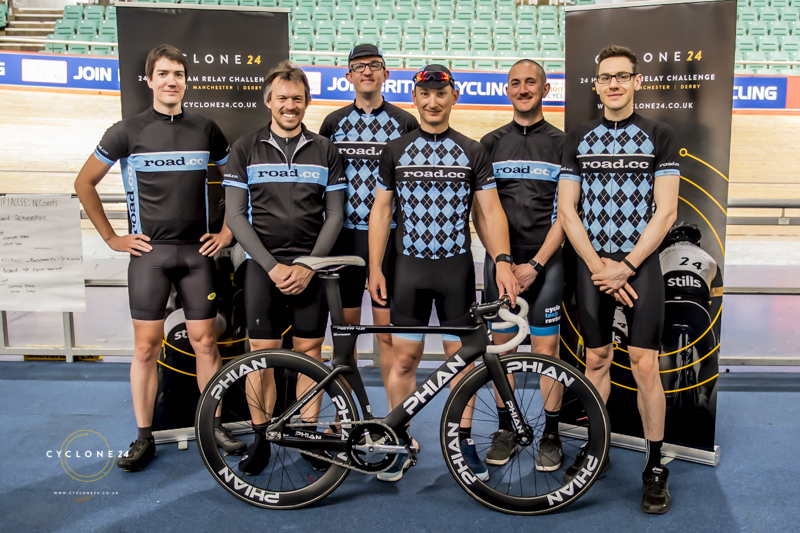 In the previous blog Simon shared with us about how he's been picked to take part in a British Cycling trial with their new power meter suppliers Verve Cycling, manufacturers of the Infocrank system. I feel like I've become a bit of a troll this week. Not the kind that winds people up on the internet, but the kind that lives in a cave or under a bridge. I've got my training plan and because it involves lots of riding at particular power zones I've started off in my garage, at least until I get a bit more used to riding in those zones. The training plan is for 3 months, but for now and for the next 4 weeks it's all about revolve24. The training plan is run off a site called Velopro. They have a system where you enter certain parameters and goal events and your plan is formulated and comes up on the included calendar. There's a few websites that do similar things but Velopro sell their individual plans as being more adaptable and dynamic instead of just having set training plans designed for 'an average cyclist'. As you upload your sessions, the data updates and changes your plan accordingly. If you need a day off or get injured your training plan will adapt. So far I've found it easy enough to use and to follow the training plans despite never having any structured training before. I'm on a free 14 day trial at the moment but I've been given 3 months to try the site out for free so I'll let you know how I get on. Actual membership is either $24 (£18.40) per month for power based workouts, or $17 (£13) without power. Both pricing levels get you an individual training plan to follow. Looking quickly at alternatives, Trainerroad is the most common in a straw poll of my friends and that's $12(£9) a month or $99(£76) a year. Trainerroad has a library of training plans and you have to choose which one you want to follow, it's not tailored to your goals and progress, whether that difference is worth the best part of £10 a month is up to you. This week I've spent 1-2 hours a day in my garage on my Revbox ergo trainer, sat in front of various films and TV series. I particularly enjoyed catching up with a certain James Corden quiz show as it has quite long episodes and I think laughing takes away some of the pain of sitting on a stationary trainer for so long. I've never spent more than 30 mins at a time on my old turbo. Sitting for that long just makes me numb. I've tried adjusting my saddle nose down as much as I dare and I never have the same problem out on the road. It's always worse when I'm doing low power workouts. Although I've had a proper cycle fit and I have decent bibshorts galore, saddle pressure points are still an issue indoors for me. I even use an ISM saddle which is designed to relieve pressure points (which works on the road). It's just that constant position. Any other hints or tips welcome! I just hope the rest of the team appreciates the suffering I'm going through whilst they're lounging about drinking Rioja and making youtube videos. I'll be ready to take up the slack. No coffee during the day (maybe a really weak one in the morning) - then pop a 200mg caffeine pill before the spin session. Helps get you buzzing and makes it go in faster. Cheap as chips too. Buy a bag on eBay or any website. Lots of standing sessions. I'll do whole Sufferfests standing just for a change. Maybe sit in the rest intervals. Really saves a lot of sore bum problems. Youtube music videos on your smartphone, great when you find a new/old song that you like, almost like a painkiller for 4 mins. Means sweating on your phone and the screen will stop working if you stop wiping. New iPhone 7 is waterproof tough, (as if you really needed a reason to throw money away). Lots of these things have their own music (like Sufferfests), but you can mute that and do your own thing. Imagination - remember, you're riding to save the planet from Zorgodon III. As a bonus - defeating the invasion comes with a box of Dunkin' Donuts (because in the future everything is sponsored, even interplanetary war). 2 hours on a trainer a day. Brutal. Worth it to go bossmode though! GL! I'm intrigued as to what sort of efforts you are doing for 2 hours that allows you to enjoy watching telly? I only ever use a turbo for short sessions (< 1 hr including warm up and down) that make me go cross eyed. the only thing i watch is the timer counting down until I can stop the pain for a period. Chris James, a lot of the work I'm doing at the moment is still base work and lots of long intervals between endurance zone and sweetspot. There's not a lot of fast paced intervals because I haven't been training for a crit or road race, but the Revolve24 is more like a time trial. Since I moved to Cambridge last week I've been spending a lot of time on the bridlepath along the Cambridge guided bus lane when I've had time to workout during the day as it's nice and flat and not too hard to hold a steady power. I know exactly what you mean though, as I've been Crit racing earlier this year I was doing tabata, Russian steps and Burgo intervals and never had any groinal numbness because my whole body was screaming in pain! They were all short sessions to, rarely more than 30 mins, and some as short as 11 minutes. I'm now training for next year's Tour of Cambridgeshire amongst other things and I expect the intervals will get a lot more brutal. I also may change the parameters on the programme to allow shorter workouts each day once I start working a bit more regularly again!